Trend watchers no doubt have noticed that traditional players in the market research space are having an increasingly hard time keeping up and scaling their business practices with changing times. In a recent article, analysts have reported a flat growth rate of 2% in the market research industry. This is not good, especially when you factor in inflation. Perhaps the highest impact change involves the digitally-savvy consumer who demands more data-driven analysis and quicker results. Traditional market research firms can be slow to adapt. Are there ways for the old dog to learn some new tricks that can help to evolve a firm and get it moving towards positive growth? Sure. Some experts suggest that specialization might be the answer. Think about the niche your firm’s business fits best. What is it that you do uniquely in terms of data delivery or technology? The firms bucking the flat growth trendline are the ones offering expertise within a domain along with strong data inventories that set them apart. So what do we really mean by specialization? In a market research context, it might mean improvements with infrastructure, speed, size, creative solutions, or methodology. Identify one or two core competencies and focus on them. This is your niche, the “special sauce,” the unique value your firm adds and the substance you explain to prospective clients: here is why they should hire you. The goal is to become known for something. This is the niche, your “word on the street” reputation. Fully embrace new technologies. Data-hungry, digitally-savvy clients are looking for speed and quality results. They expect all decisions to be backstopped with data and research. Evidence-based criteria is king. Is your firm moving beyond traditional data collection and analysis? Are you collecting user “experiences” and offering support for impact measurement and taking action? Consider investments in services geared towards high-end analytics and customized tools that deliver data and analysis quicker than ever. Alongside the new technology, realize the importance of expert advice. Guidance is where your domain expertise comes into play, and it shouldn’t be underestimated as a selling point. Odds are that clients have already researched the vendor space before they ever pick up the phone and probably have a sense of what your expertise is already (if not, take the opportunity to inform them). This means your main objective should be assuring them that yes, you have the expert know-how to serve the client’s needs. For client needs outside your “competency zone”, considering turning to acquisitions and partnerships. Acquisitions. If you can’t beat them, buy them. This can work for a large firm, but medium-sized firms are having trouble competing, because they may not have the capital to acquire niche firms. They rely on in-house research instead of partnerships. Strategic partnerships. Competition isn’t just occurring at the level of operations, services, and pricing. Can you perform the turnaround faster? Sometimes the only way to meet those goals is to establish strategic partnerships in any number of areas like setup, automation, or infrastructure, to name a few. To recap, the specialized market research firm becomes great at one or two core competencies, is willing to embrace new technology, makes acquisitions and forms strategic partnerships when needed. Flexibility and agility are key. Keep in mind that being nimble is no guarantee of success, however. Being agile means you are primarily in reactive mode. Why not get proactive? The growth-based firms are the ones who are innovating. Prepare your firm for innovation by incubating your core competencies, which should lead to a creative problem-solving approach. Think more about the kinds of problems you can solve for your clients and less about the categorical label. Remember, you are in the solutions business. D-Day is coming to Europe next spring, and no, we’re not talking about World War II. For us in the here and now, the “D” in D-Day stands for Data. In May 2018, new data protection regulations will take effect in the EU, and the impact on businesses and consumers will be enormous. The European Union General Data Protection Regulations (GDPR) have not been updated since 1995. Twenty years is a lifetime in the world of technology. So much has changed. Most of our lives are intertwined with technology now, and our digital alter-ego (data profiles of who we are and what we do) is living somewhere in the cloud, traveling the earth in milliseconds. Amid the looming chaos of privacy exploitation and hacking, consumers are justifiably concerned and doubtful. Does privacy even exist anymore? Is anything secure? People want their privacy protected. They want to trust that their data is secure, but at the same time they want the convenience of personalized consumption and instant access. It’s a tough balance to strike. Fundamentally, the goals of GDPR are to reassert individual privacy rights, foster a more robust EU internal market, strengthen law enforcement, streamline international transfers of personal data, and unify global data protection standards. The new data protection regulations will consist of a two-part implementation. The first part is the General Data Protection Regulation itself, the new rules. The second part involves the enforcement arm, a Data Protection Directive for police and criminal justice entities. According to public information released by the European Commission, we are going to see some interesting outcomes from GDPR. Privacy rights make a comeback. The privacy regulation aims to improve individual’s rights to virtually “be forgotten” When they don’t want their data held anymore, it must be deleted (with exceptions: data may be retained for contractual or legal compliance reasons until no longer needed). Individuals’ access to their personal data will be easier to obtain. They will have a right to port their data between different providers and the right to be notified when their data has been breached. In addition, companies must inform the authorities which accounts were hacked in a timely fashion. European Commission says “Data protection by design and default” will become the norm. Products and services must be safeguarded via built-in data protection. Privacy will become the primary focus and could lead to new business innovations. This includes new techniques for data encryption, removing personal data identification from data sets, and replacing PII fields in data records with artificial identifiers. All of these could restore trust between individuals and companies holding their data by limiting exposure. Costs. Yes, it will require investment to upgrade apps and services, but the tangible and intangible payoffs of compliance with the new regulations are real. According to estimates, Europeans’ personal data value could be worth upwards of €1 trillion by 2020. With stronger data protection regulations in place, opportunities will grow. Streamlined regulations. There are currently 28 separate laws on data protection that are incoherent and unwieldly. The plan is to have these 28 individual laws consolidated into one. Estimated savings for companies and organizations could be as much as €2.3 billion per year. After the new data protection regulations take effect, companies will deal with one single supervisory authority only, making it easier to do business in the EU. This will level the playing field by applying the same rules for all companies – regardless of size or location. Companies outside of Europe must follow the same rules when doing business in the EU. Negative reinforcement: Be prepared or pay up! The EU is expecting merchants to be more responsible for protecting customer data. Those who experience data breaches will face severe sanctions. Beginning May 25, 2018, the EU will impose heavy fines levied as a percentage of revenue on companies violating the GDPR rules. Smaller companies doing business in the EU may be unaware how soon these regulations are coming online. Liability is an obvious concern, so active steps to achieve compliance must be taken. Products and infrastructure must be reviewed and updated. A sustainable cyber security program must be in place. The cost of compliance must be accounted for, and the ROI should initially be measured against the preparedness and protection from fines and liability. In the long term, as mentioned above, the new regulations could result in a more level playing field and increased business opportunities. Review and analyze the GDPR. Seek advice. Leave nothing to chance. Learn the precise meaning of “personal data”. Figure out how to best mitigate risks of noncompliance. For more information about the European Union General Data Protection Regulations (GDPR) check out this European Commission website, with press releases, questions and answers, factsheets, legislative texts, the current legal framework, and public opinion surveys. Marketing researchers are all facing two important challenges to data quality. First is the question of representativeness: with response rates plummeting, we need to make surveys shorter, more engaging, and easier for respondents to complete. Second is the issue of data accuracy: we must make sure that survey questions measure what we think they measure. 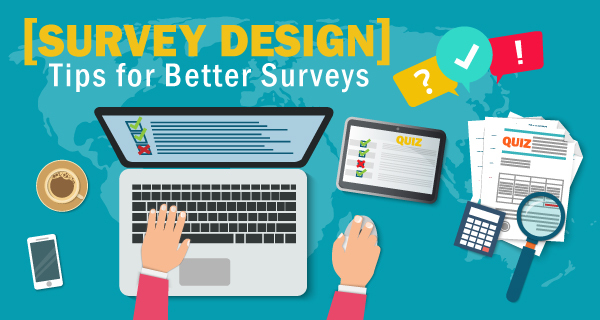 If you want to make surveys more accurate and representative, it all comes down to survey design. You need to think carefully about the survey design and how quality is expressed and impacted throughout all phases of the research project. When you get in the habit of thinking about quality at all phases of a study—from design to implementation to analysis of results and feedback—the payoff will be clear. It sounds obvious, but the first quality check is to take your survey. Clients, researchers, analysts—everybody on board should complete the survey. Be sure to ask some people who are not familiar with the project to complete it as well. How does it feel to be on the other side? Talk through the questionnaire as a group. Look for areas that need more focus or clarification. Seek recommendations to improve the survey. Encourage the group to advocate for changes and explain why the changes are important. And be sure to use a variety of devices and operating systems to understand how the survey performs in different situations. Use technology to test for data quality. A computer application is great at metrics, scoring and summarizing responses. It can measure survey engagement by tracking rates of abandonment and speeding and measure experience quality via respondent ratings. The average length of time to complete the survey is also a key metric. Use technology as a predictive tool before launching the survey to evaluate engagement levels and suggest improvements. Beware of “survey fatigue.” Split long surveys into many short pages. Does the language used on buttons and error messages match the survey language? Validate questions for the correct data type and tie validation to relevant error messaging that tells how to fix the response. Use a progress indicator to show how far the respondent is from completion. Improve the logical flow of the questions and watch out for redundancies. Make sure the question type matches what you are looking for. Close-ended questions are ideal for analysis and filtering purposes. Test your logical paths. When designing page skips, you don’t want unexpected branching to happen. Use required questions for “must get” answers, so the respondent can’t move on without completing them. Be careful about making too many questions required, however, as respondents can become frustrated and break-off before completing the survey. Make sure that short page questions fit on the screen. Check for comment box sizing problems and row-width for matrix question labels. Remember, quality control should never be an afterthought; you must have an established quality control process for surveys. This process must specify the quality review responsibilities of each survey reviewer. One or more team members should be responsible for evaluating respondent-level data. The quality control process should review the survey design end-to-end to focus on maximizing both technological efficiency and respondent experience for optimal data quality. Pretty much everyone in the survey business understands the value of a satisfied panel. We want our surveys to be well-received and satisfying. We want our panelists to be engaged, and when we invite them again, we want them to participate eagerly. To achieve these goals, you must work to build loyalty among your panelists. What does loyalty mean in this context? A panelist should think of your panel as their panel. They belong there, and it’s a place they will want to revisit. One tried and true method for building loyalty is the offering of incentives, also known as rewards. An incentive reinforces positive behaviors and reminds panelists who your brand is and why it’s something worthy of their loyalty. A panelist who is kept happy will in large measure be a loyal one. Here again, incentives can play a major role in building good will. When you reward respondents, you not only offer them something of value, you are letting them know that you value them. When we reward panelists for good behavior, the happy (thus loyal) panelists are much more likely to share their positive experience with their friends. In this way retention (satisfied panelists) can feedback into acquisition (new participants). Let’s briefly examine how incentives can be structured to address these aims. A reward that isn’t worthwhile to the participant isn’t worth much. The value of the reward should be paired with two factors: time invested by the participant and the level of complexity of the tasks you ask them to complete. Beware of offering too lavish a reward. This can trigger fraudulent actions, as in “I’ll say or do anything to get the prize.” An incentive program should NEVER compromise the integrity of the research. Watch out for the redundancy problem. 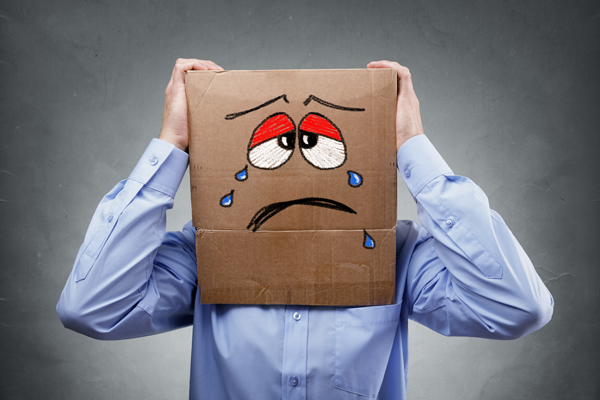 Offering the same reward again and again can have a negative impact: participant boredom leading to lack of engagement. Weigh the benefits of adding diverse incentives. Are their ways to cater or customize the panel experience? Is your panel management system able to accommodate changes to the incentive package over time, as needs change? You might, for instance, design a tiered system for qualifying and non-qualifying participants. Why should non-qualifiers be rewarded with a token gift too? Because today’s non-qualifier could be tomorrow’s qualifying participant. Retention is the name of the game. With typical conversion rates tending towards the low range of 10% to 15%, when you reward the non-qualifier, you help to avoid gaming of the system and incentivize honest repeat participation in the next survey. A good incentive program will have some flexibility built-in, such as tiered rewards that trigger at different levels depending on specified factors. The levels could consist of gift cards, merchandise, PayPal payments, charitable donations, games, and other exclusive benefits. The key is to match the reward with the panelist. One size does not fit all. Consider delivering digital rewards by email. 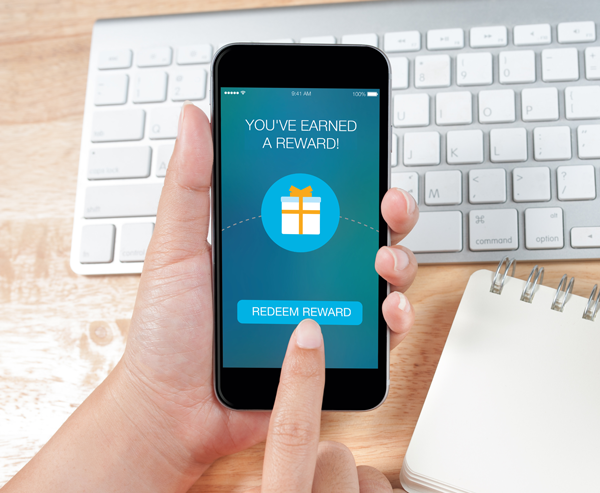 Digital rewards have a couple of advantages: (1) the recipient gets immediate satisfaction (they can redeem it right away) and (2) you reduce overhead for inventory and fulfillment management. Weigh the costs and benefits. Tiered rewards can add cost but they really help to cement the bond to your most loyal panelists. Points-based rewards are a popular approach that can be cheaper than cash rewards. Using the idea of “Reverse Preference”, you offer the panelist a choice of reward type other than the default option, and you might use this as a motivational factor for a targeting a particular demographic. Can your technology handle what you need to do? You want the system to accommodate multiple projects and programs across different demographics at the same time, each with its own custom incentive approach. An integrated application programming interface (API) can automatically deliver rewards. Fast incentive fulfillment not only increases efficiencies, it keeps panelists happier. Make sure your panel management system is robust enough to handle the granularity of analytics you need, and is adaptable enough when needs mutate. The key to improving an incentive program is to test and adjust. You should always be tracking and measuring respondent satisfaction, which can be gauged via satisfaction surveys, social media feedback, and helpdesk availability. Doing this will show panelists that you are there for them, are interested in their feedback, and are willing to act to improve their experience with each iteration. Measurement is necessary for another reason. To gain approval for an incentive program, you will need to demonstrate to management that you have the metrics to show a clear return on investment. Plan to show them the positive feedback loops between completion rates and satisfaction metrics. With these considerations in mind, you can expect an improved rewards system that boosts acquisition rates, leads to greater participation, and secures higher retention rates. “Smart Survey Design” is a loose term (bordering on a catch-all) that you’ve probably heard pitched to you. Maybe you have used it yourself when piecing together a study. It’s not a hollow term, by any means. Smart design has advantages for both designers and respondents. Designing “smart” simply means maintaining data integrity, both in terms of capturing statistically relevant data as well as reducing the amount of bad data caused by poor survey takers (straight liners, short responders for OE’s, speeders, cheaters, etc.). That’s the basic idea, but there is one factor that often gets forgotten or ignored in a “Smart” design: the respondent’s experience. 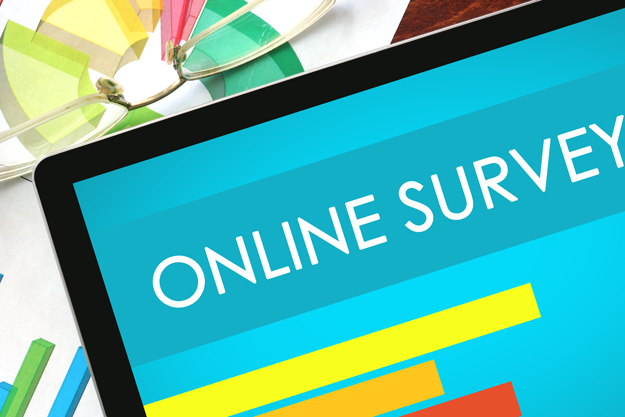 You want your respondents to have a positive user experience, surveys with a human touch. They should feel good about taking the survey. I’m not just talking about survey length or incentive, though those are certainly key tools in addressing the problem. What I am referring to is the very way we talk to the respondent, the questions asked and how many times we ask that question. It is easy for us as researchers to become so lost in our need for quality data that we forget the source of it—human beings. People are rational and emotional creatures. How do they feel about their participation? It’s an important consideration, all too often ignored. Identifying and avoiding potential pain points may not only help to reduce the number of scrubs and drop-outs, but also deliver better, more reliable data. Have you ever been on a conference call where the speaker repeats the same point 5 times? Did you like it? Did you continue to pay attention or did you look at your phone or check your email? Now imagine that same conference call. The speaker drones on with 4 more points that are roughly one hair’s width different from the original ones. Frustrating! Plenty of studies out there get too repetitive in hopes of garnering nominal, ordinal, interval, and ratio data just to present the client with 4 different charts. But you should ask yourself, how reliable are the opinions offered by a respondent that you have just bored and or annoyed? Some repetition may be unavoidable, especially when you want to determine which of a group of stimuli is most attractive to your target, but you should not bludgeon the people who are meant to be helping you. This may be a good opener for your therapist to crawl around the workings and motivations of your mind, but some respondents may find such questions to be intrusive or something worse: “hogwash.” They have signed up to take part in survey research, but they’re not lab rats! We come back to the reliability question: how reliable is the data you are gathering if your respondent has been made uncomfortable and just wants to finish the ordeal and get out? The prospect of getting “deeper data” out of your survey may be very alluring, but consider how appropriate those questions are for your audience. Does a panelist really need to imagine their favorite restaurant as a spirit animal in order to tell you what their favorite sandwich is? While gathering data or even when trying to cut time off the length of interview in consideration for the respondents, questions might be presented impersonally or curtly. These rapid-fire “cold” questions, though absolutely focused, clear and concise, run the risk of boring a respondent into unintentional mental lethargy. Questions can eliminate responders who have lost interest in your data set, but wouldn’t it be more beneficial to prevent the need for creating them in the first place? You don’t have to write a narrative or tell a knock-knock joke to keep them engaged with the process. Panelists are people. You should just remember to “speak” to them conversationally, instead of clinically prompting and probing for responses. By being more aware of the respondent’s pain points and making a few tweaks to your surveys, you can improve completion rates, quality of open-ended responses and data integrity. Better yet, it does all this without incurring any additional costs. It was my first year attending the American Association for Public Opinion Research (AAPOR) Annual Conference, and I was feeling a little nervous. AAPOR is one of the most influential conferences in the survey industry. My goal was to actively participate in events and networking opportunities on the conference list. ResearchHack 3.0 was one of them. ResearchHack is AAPOR’s version of a “hackathon”, where teams of participants (aka. “hackers”) were asked to devise a plan for a mobile app that would inform various uses of the Census Planning Database. I was paired with three professionals: a health researcher, a healthy policy program research director, and a director of an institute for survey research. Our team decided to work on a Census Planning Database-based mobile app to help any survey firm/researchers who were trying to design a sampling and operational plan for a hard-to-survey population. Surveying a hard-to-survey population usually results in a very low response rate. The “main idea” of our app proposal was to utilize the Low Response Score in the Census Planning Database to help identify areas with possible low response rate for the targeted population. Then we would “customize” sampling and operational plans based on areas with different degrees of predicted response rate, with the assistance of big data analysis results or shared experiences from other researchers. Actually, we had no problem creating hot maps to identify areas with possible low response rate, but when we had to create an app prototype to demonstrate how the app can help survey researchers “customize” their research plans, we ran into a problem. 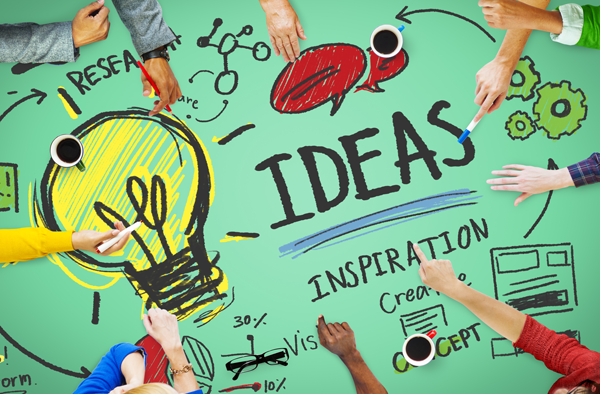 None of us knew if our proposed ideas were even applicable in an app! We didn’t know what adjustments we should make to implement those ideas at the app level. None of us had the related experience needed to make those calls. It’s like that feeling you get when you have an awesome idea for decorating a cake, but you don’t know the needed ingredients. I have to admit, it was a frustrating realization, and I believe my team members had a similar feeling. The clock was ticking. We had to present our ideas to the public only 24 hours after our first meeting. The pressure was huge, but no one gave up. We sacrificed sleep to work on our slides and outputs. We wanted to be sure that our “main proposal idea” would be clearly explained. Next, we adapted a role-playing strategy in our presentation to show the audience what kind of difficulties any researcher might face when trying to survey a hard-to-survey population, and what “customized” research plans could help if the needed technical assistance for the app was provided. Although our ideas didn’t wow the judges (totally understandable due to our app-level technical shortcomings), we did win the “audience pick” award. We were grateful to them for appreciating the effort we put in to help relieve the pressure on all the hardworking survey researchers who have to collect responses from hard-to-survey populations. ResearchHack 3.0 was certainly tough, but very rewarding, too. You couldn’t ask for more from this crazy and unforgettable experience! After the conference when I got back to the office, I shared my ResearchHack experience with the programmers in the Geo-Dem group. We had some great discussions. They gave me creative ideas that I had never thought of before. This is one of the great benefits of going to conferences like AAPOR. You share new knowledge and insights with your colleagues, which sparks more creative innovation. One day we will continue in the spirit of ResearchHack 3.0 and make great products for survey researchers, together. When that day comes, our blog readers will know the news. Stay tuned! Geo-targeting. We all know what it means, but for the sake of this article, let’s get at the essence of the concept. Geo-targeting is a way to pinpoint an audience based on location. Accuracy is everything. Geography is the fundamental basis for every sample frame – be it individual streets, Census geography or Postal geography. Certain sample frames such as Cellular RDD tend to be difficult to target geographically due to inward and outward migration of individuals who retain their cell phone numbers. It’s important to be aware of these limitations when using a Cellular RDD sample, especially when targeting small geographies. So how can we account for the under-coverage and take better aim? One option is to supplement from a relatively new convenience frame called Consumer Cell. This frame is based on a multi-source model comprised of consumer databases linked to publically available cellular telephone numbers. It is updated monthly. Geographic targeting using consumer cell can be highly accurate, zooming in on small geographies such as census blocks or even the household level. Further stratification can be done for numerous person and household level demographic variables. One limitation to the database is that it is a convenience frame (non-probability compilation of households). It does not offer the same coverage as an RDD frame. It is probably best utilized as a supplement to sample respondents who live in a targeted geography. One of the benefits is that you now include respondents who otherwise would not have been sampled. If your area of interest is at the state or local level, you should consider where we can address under-coverage issues with RDD cell sample. The research industry needs volunteers. Here’s why you should consider playing a part. Many of us here at MSG serve as active volunteer members of market and survey research industry organizations. It’s part of our company culture to get involved and make a difference. Recently, I attended back to back chapter events, and I began to reflect on the benefits of volunteering. Was it really worthwhile to devote my time to a local chapter organization? It’s true, the amount of time you need to devote to volunteering can feel like a second job, and it is crucial that you be able to balance your primary and secondary activities. It’s definitely a juggling act, and it isn’t always easy. Networking. Serving as an industry volunteer will get you talking to people and is a wonderful means for creating and maintaining relationships. I want to meet people whom I can work with, but I also want to build a network of long-lasting professional relationships. In my roles as a volunteer for a local chapter organization and committee memberships, I have encountered industry pros whom I never would have met otherwise. Learning best practices. Education doesn’t end with a degree, a certification, or on-the-job training. It should be seen as a lifelong habit of mind. By attending events and seminars outside the orbit of your day-to-day business, you will be exposed to new ideas and pick up on new trends within your industry and related industries. Organic growth. A natural goal we all have is to grow our business. When you volunteer, the cultivation of business growth can tend to happen more organically, as a function of developing relationships within the membership environment. As you discover ways to collaborate and partner with others, those seeds will sprout. I firmly believe that volunteers are the lifeblood of an association. They keep our communities engaged and informed. Despite the fact that it can take up a lot of spare time, when I reflect and ask myself, should I have volunteered? I always answer a resounding YES! Who Really Owns the Cell Numbers on Your List? Say you have a list of cell numbers for consumers and you want to message them. Then you use an automatic dialing system to send text messages out to those numbers. This simple and apparently innocuous action could have drastic consequences that could actually cost millions of dollars. 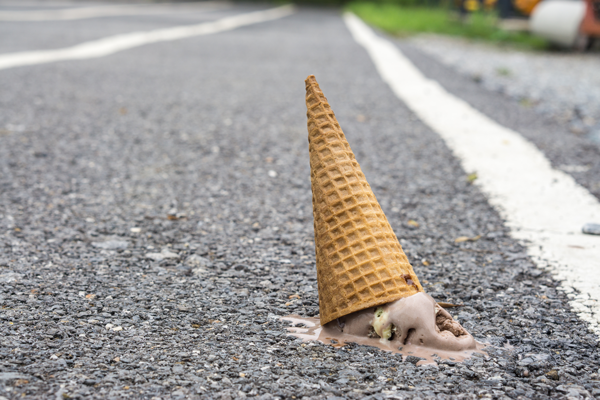 Take the case of Philadelphia-based frozen treats company Rita’s Water Ice, which settled a class action lawsuit for three million dollars in May 2016. The reason? The plaintiff claimed that Rita’s had violated the Telephone Consumer Protection Act (TCPA). The TCPA requires you to have prior express written consent before using an automatic telephone dialing system for messaging cellular numbers on a list. In the Rita’s Water Ice court case, the company strongly denied the accusations, but they agreed to a settlement so as to avoid a prolonged lawsuit. Those who had given original consent but changed their mind and asked to be removed from the distribution list, which never happened. Those who claimed that they had never given consent to receive text messages. What’s most interesting for those of us in the research industry is the second group. Upon analysis, it was discovered that certain plaintiffs owned cell phone numbers that had been assigned previously to consumers who HAD in fact agreed to receive text messages from Rita’s. In effect, written consent had been given originally, then the cell number was reassigned to a new consumer who had no clue about any of that. All of this points to an issue of great concern to researchers: the vagueness of the TCPA. And it begs a major question: how much due diligence should a company or researcher have to perform, to ensure that the cell phone numbers on their list are in fact registered to the names on the list? It’s murky. A grey area. Undoubtedly, more litigation will have to occur before the question is answered definitively. In the meantime, if TCPA compliance is at the forefront of your data collection, you should contact an MSG account manager. We have the ability to mitigate TCPA risk. We can identify wireless numbers for you, and we can offer identity verification that verifies called-party consent. I can’t tell you how many times I had a client call and tell me that. The stories follow a pattern. The client says it’s a great list and you should be able to easily complete the study with it. Sounds great, right? Here comes the plot twist. They forgot to tell you the list is 4 years old and hasn’t been touched since. Oh, and by the way, only 30% of the records have a phone or email address. Suddenly, easy street is filled with potholes. • Flag any cell phone numbers so they can be separated out and dialed manually, which also ensures TCPA compliance. • Ask yourself: what is most important on their list? What is the key sampling element? Is it the individual (contact name)? If so, the file can be run against the National Change of Address (NCOA) database to see if the person has moved. If the person has moved, a search can be run for the new address. The next step is to identify the landline and (or) cellular telephone numbers associated with that individual at the new address. • If location/address is the key element, check for the most up-to-date telephone numbers (either landline or cellular) and name associated with that address. • Send the call list to a sample provider for verification. Does the information in your list match the sample provider’s database? • If information doesn’t match, can you append on a new phone number or email address? • Do you still have open quotas? See if you can append demographics to target for open quotas. • When you’ve exhausted all options on the client list and the study still isn’t completed, order an additional custom sample that meets the ultimate client’s specifications (or at least comes close). Then you should dedupe the client list from any custom sample orders. With the help of a good sample provider, even a subpar client list can be salvaged and the study brought to completion on time.